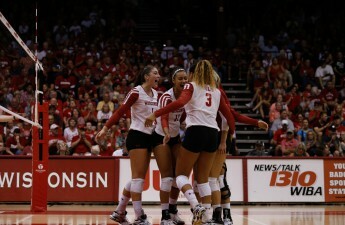 on the University of Wisconsin campus and becoming the women’s Big Ten Volleyball player of the year, but all of that came crumbling down when a back injury effectively ended her sophomore season. As a highly touted recruit, she was ranked fifth on Prep Volleyballs Senior Aces, was named the Illinois 2014 and 2015 player of the year, lead her high school team to four state champions and her club team to four national championships, where she was named MVP twice. Unfortunately, Haggerty suffered from a herniated disk in her back from years of playing. As the 2016 season progressed, it caused her more problems, and started to affect her play. Most notably, she struggled against Stanford, who would eventually become the National Champions, during the Elite Eight round of the NCAA Tournament. In the offseason, Haggerty underwent two back surgeries and was not cleared to begin light volleyball activities until August 2017. This was the longest stretch of time Haggerty had not played volleyball, and for Haggerty, it was a challenge. She couldn’t understand why it happened to her. She was coming off arguably the best season of her career in terms of skills and performance, and now she had to sit and watch as her teammates continued to develop their own skills. Although she would much rather be on the court with her teammates, Haggerty told the Wisconsin State Journal that her injury might have actually come at the right time. 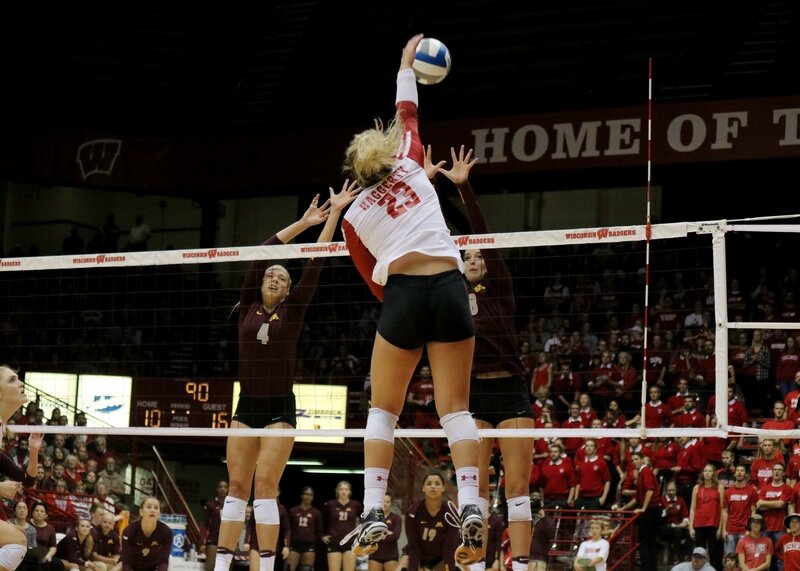 Since beginning to practice and lift weights again, she has made great progress, and is almost where she needs to be if she wants to play like Big Ten freshman of the year Molly Haggerty, or a player that would be even better in her sophomore season. Unfortunately, time ran out for her to heal herself enough to play during the 2017 season. Haggerty recently made the decision to redshirt this season, which undoubtedly was a difficult choice to make. Head coach Kelly Sheffield announced last Tuesday that she had decided to take this year to recover fully and become the best volleyball player she could be. She came to the conclusion that it may not be worth using a year of eligibility on half a season where she would not be at her best. Coach Sheffield says while she has made improvements, her jump is still two-and-a-half to three inches from where it was last year, and that’s a big difference. 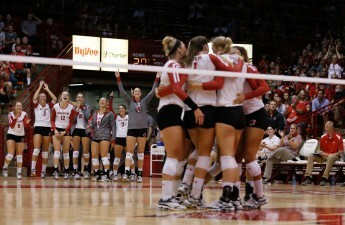 Big Ten volleyball is competitive, and to be the best, Haggerty will need to regain those few inches. 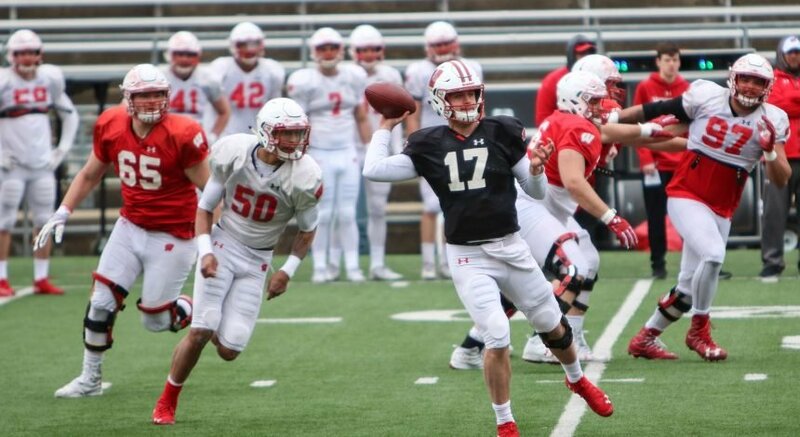 Fortunately for the Badgers, they have depth at the outside position this season, which is part of the reason Haggerty is deciding to red shirt. Two seniors, Kelli Bates and Lauryn Gillis, have been productive from that position, while freshmen Grace Loberg and Mirah Whalen have also contributed as well. court. 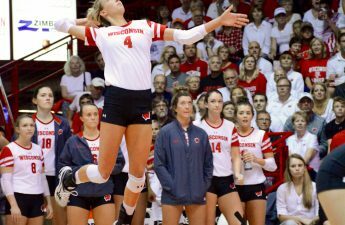 Back injuries can be difficult to come back from, but with some of the best strength and conditioning coaches, Haggerty will be back on the court next season making waves for the Badgers.